By some miracle, I did not have the Polecats in my head all weekend, despite spending most of Saturday only dancing. It has been some time since I danced (February’s adventure notwithstanding) and after two hip replacements, my Giant son is correct: I’m still re-training my muscles. My feet remember more than my hips do, but at least some of my muscles remember! The Five Positions, from An Analysis of Country Dancing, T. Wilson, 1811. The entire day reminded me strongly of being in a novel, or, as Drunk Tailor said on hearing the description, a movie. Let us merely note that some gentleman are more enthusiastic appreciators of music than others, and that a partner can be left feeling a bit flung about in some of the figures that involve the mouliner. My rusty memories of French came in handy: mouliner and mill connect easily enough for me (seen here, in Prince Kutusoff) and the Boulanger made much more sense when I connected it to mixing bread dough. Hey– whatever gets you through the set without stepping on your own, or anyone else’s feet! I’d like to think I will remember something of this business the next time I get to dance, whenever that may be. The patterns can be found on line in manuals (as in this description of Sir Roger de Coverly) with some occasional, bearable, videos— and, as always, resources close to home. Next time: the dress. Until then, I’m posting more on Instagram. Closure: green silk satin ribbon. 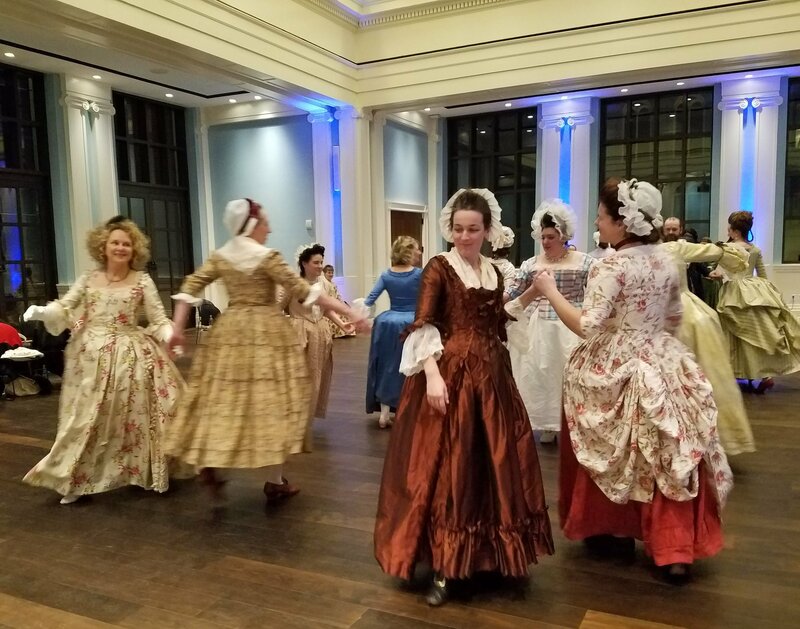 With many thanks to the Quintessential Clothes Pen, I was not dancing with myself Saturday last at the Jane Austen Ball in Salem. 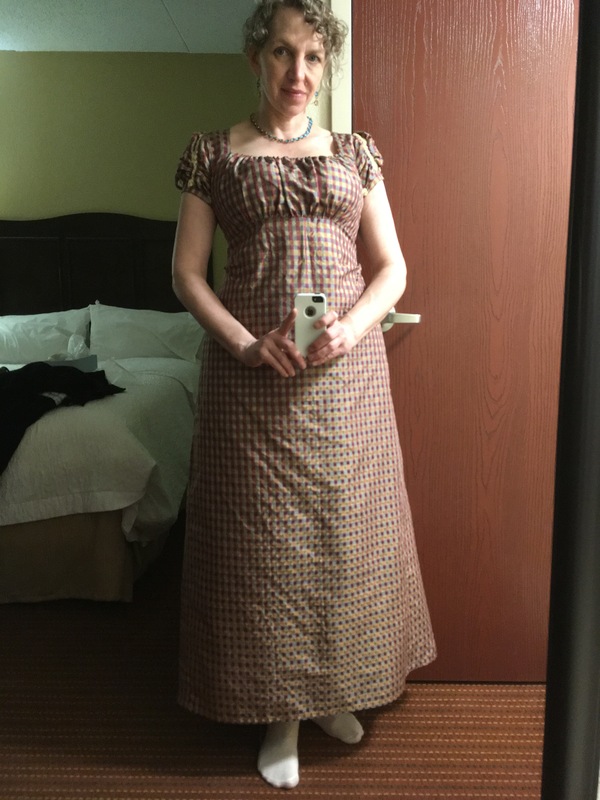 I was there on a bit of a whim, knowing that the ball happened in February and looking for something to do on a winter weekend– and, as it happened, I actually had a dress to wear. Of course, it wasn’t finished until Friday night, although I had worn it in December for a photoshoot. 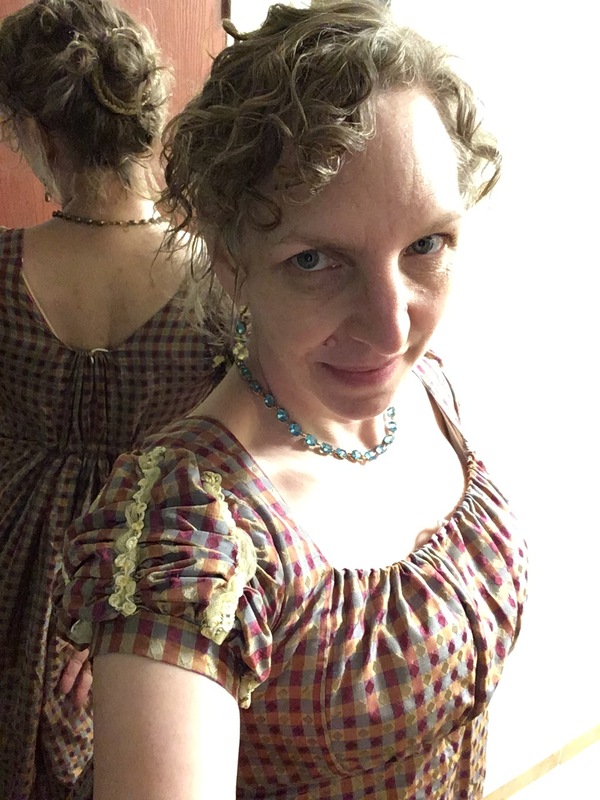 Dressed for the weather: I only seem to wear this pelisse in February. In the past year+, I’ve been trying to do more and regret less, which seems a bit contradictory: if you do more, might you regret more of what you do? The trick for me, especially in dealing with my baseline high-anxiety self, is to do more things that seem scary but are actually fun. * That’s how I found myself traveling up to Salem between snowstorms to stay in a tiny little room in a historic hotel. It’s a pretty quick ninety-minute trip on a good day, but I know myself well enough now that staying overnight is the safer, less-stressful option for an excursion like this. 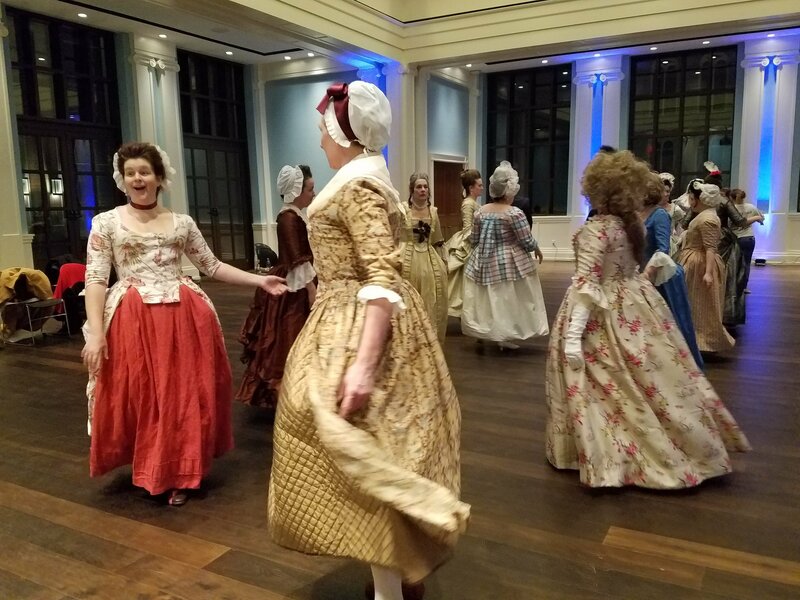 The Town Hall was crowded; I arrived a little late, as dancing was beginning under patient and direct tutelage, so I had the pleasure of watching several dances before I joined in. 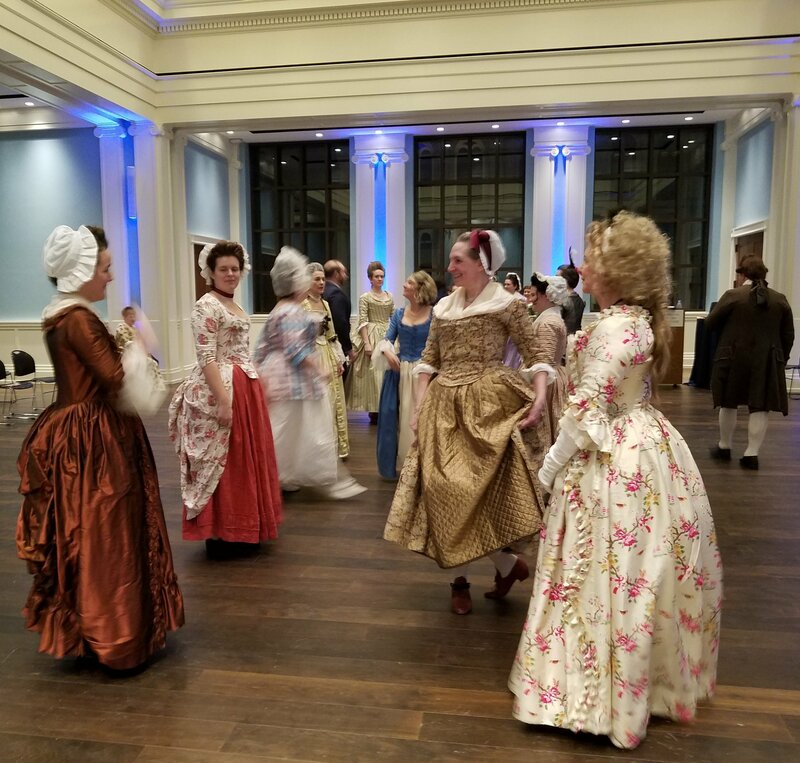 While not everyone was wearing early-Federal/Regency clothing, the crowd still provided an excellent sense of the social mixing and festivity of a scene from the past. Joining in was even better, to be in the swirl of people and skirts, to pay attention to my feet– my shoes were a little slicker than I would like– and to count the rhythm of the music. While I spent years in ballet class, it is true that those years were surpassed by years in mosh pits and on dance floors of questionable clubs. Country dances made me think of four-dimensional math, with the patterns made by the combinations of active and helper couples, the reversals of direction, and the changing positions of partners: it was like being a living fractal. *With some exceptions including rollercoasters and sky diving.